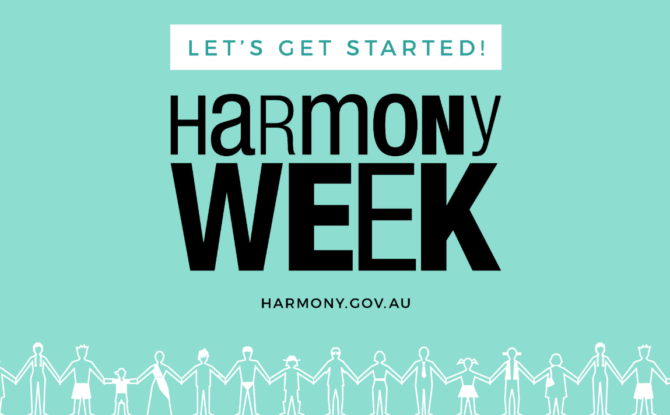 This week is Harmony Week in Australia. What used to be a single day – Harmony Day held on 21 March to coincide with United Nations International Day for the Elimination of Racial Discrimination – is now a whole week of celebration of Australia’s cultural diversity, inclusiveness, respect and a sense of belonging for everyone in our community. With recent events, this week is sure to hold great emotion for some amongst us. This year’s Harmony Week got us thinking about diversity and equality in the workplace. We like to think of ourselves as a pretty inclusive and welcoming sort of workplace – it’s something that we really love about working at Safety Champion. But what does it even mean to be diverse in the workplace? And how important is it for your business? Employee diversity is increasing more and more. Of course – once upon a time – women, people from varying ethnic or religious backgrounds, or people with disabilities, to name but a few, did not find it easy to secure a position in the workplace. Thankfully, now, things have changed – and are continuing to change! Whilst we have come a long way, we know that more can be done. With greater workplace diversity comes more innovation and creativity. People from different walks of life bring new perspectives and ideas to the table. These perspectives can improve the way your team works together and the service or product you deliver. Such improvements are simply good for business. With greater workplace diversity comes opportunity for better and wider customer or partner interactions. With greater diversity in your team, it’s possible you’ll open up a conversation with people you might not have otherwise. Additionally, your service or product might change for the better to incorporate or accommodate more diverse customers and partners. With greater workplace diversity comes opportunity to learn tolerance, flexibility and adaptability. Trust us, when your people can cultivate these things, they will be happier at work. And in general, for that matter. You’ll find the opposite of these three traits in almost every miserable person on the planet. And happy staff means lower staff turnover and lower costs on recruitment. Yay! Workplace diversity is not only good for business – it’s good for people. We can all get something amazing out of increased diversity and inclusiveness. So, next time you are recruiting stay open to diversity and inclusiveness. And if you’re already in a pretty diverse workplace – think about how you can learn more about each others culture this Harmony Week. You can even hold a public or private event and register it here. We already have – our office lunch in the park this Thursday! We think we might do a “pot luck” lunch, where we can each bring a plate of food that has meaning to us, to provide an opportunity for greater conversation.